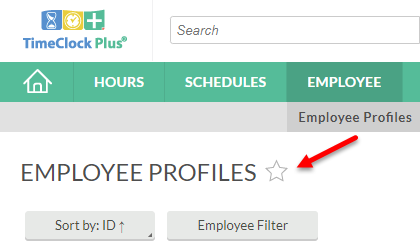 TimeClock Plus – My QuickLinks - ..:: Region 1 > SMART Systems > SMART HR > News You Can Use ::..
menu and is created and customizable by each user. 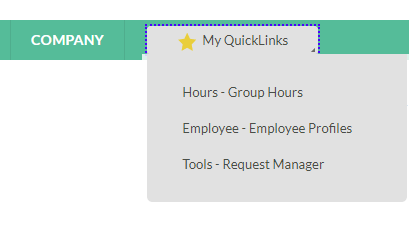 To create a My QuickLinks menu, go to the window you’d like to add and click on the star next to the window name. The star will turn yellow and a “My QuickLinks” menu will appear on the green menu bar. and will disappear from the My QuickLinks drop down menu.